On any given day, a visitor to Mary Shorey's classroom would find elementary students using a variety of learning tools, from books to wikis and blogs, to pose critical questions about the world and take action to make a difference in the lives of others. Whether sponsoring a book drive for victims of Hurricane Katrina, using a multimedia presentation to persuade the principal to adopt their recycling plan, or challenging a senior citizen's eviction, it's all in a day's work for Mary's students. On any given day, a visitor to Mary Shorey's classroom would find elementary students using a variety of learning tools, from books to wikis and blogs, to pose critical questions about the world and take action to make a difference in the lives of others. Whether sponsoring a book drive for victims of Hurricane Katrina, using a multimedia presentation to persuade the principal to adopt their recycling plan, or challenging a senior citizen's eviction, it's all in a day's work for Mary's students. Her young learners are in the process of becoming conscious consumers, creative thinkers, and effective communicators even while fulfilling the mandated curriculum and Common Core Standards. 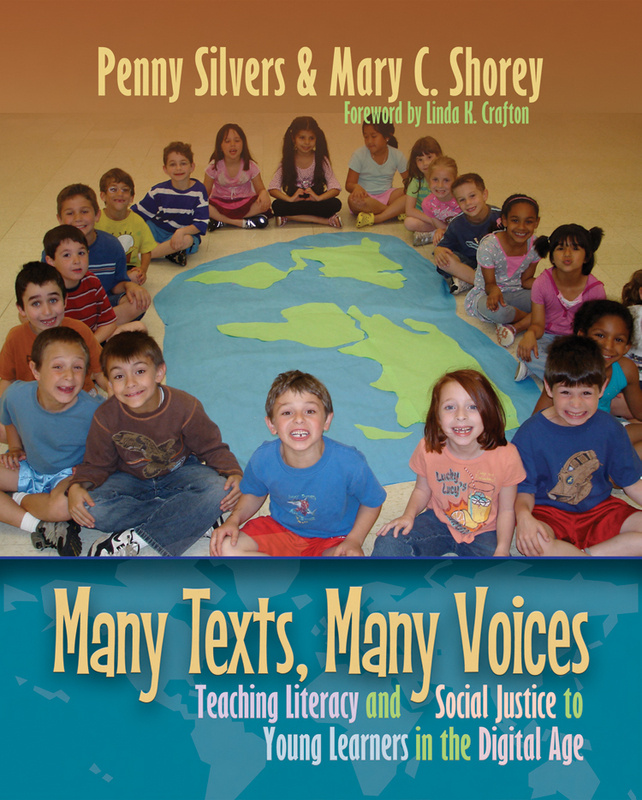 As Shorey and coauthor Penny Silvers write in Many Texts, Many Voices, "Critical literacy requires that the reader/consumer examine multiple perspectives and ask, 'Whose interests are being served?' and 'Whose voice is heard—or silenced?'... Rather than an addition to a lesson or curriculum, critical literacy is a way of thinking, communicating, analyzing, and living a literate life. Critical literacy also implies the possibility of taking some kind of social action in order to support a belief, make a difference, or simply help during a time of need." Always mindful of what is appropriate for young children, Penny and Mary continually search for opportunities to embed critical literacy and inquiry in the everyday lives of primary students. Through a rich array of rubrics, sample lessons, text sets, unit designs, and professional resources, Penny and Mary share their reflective practices so that all teachers can use print, visual, and digital tools to transform student learning. Penny Silvers is a professor of teacher education and literacy at Dominican University in River Forest, Illinois. A former elementary teacher and reading specialist, she has written numerous articles and book chapters about language arts and reading. Mary Shorey taught first through fourth graders at Pritchett School in Buffalo Grove, Illinois, for over twenty-five years. A learner herself, Mary earned National Board Certification and a doctorate in Curriculum and Instruction. Teaching was a lifelong passion, and Mary considered her classroom her "laboratory of opportunity."